Transparent hard drive housing 2.5 inch USB3.0 type-C. Achieve transfer rates up to 5Gbps! Do you have a hard drive but no housing? Then the transparent housing of Orico is definitely something for you. You can place the disc in the transparent housing. 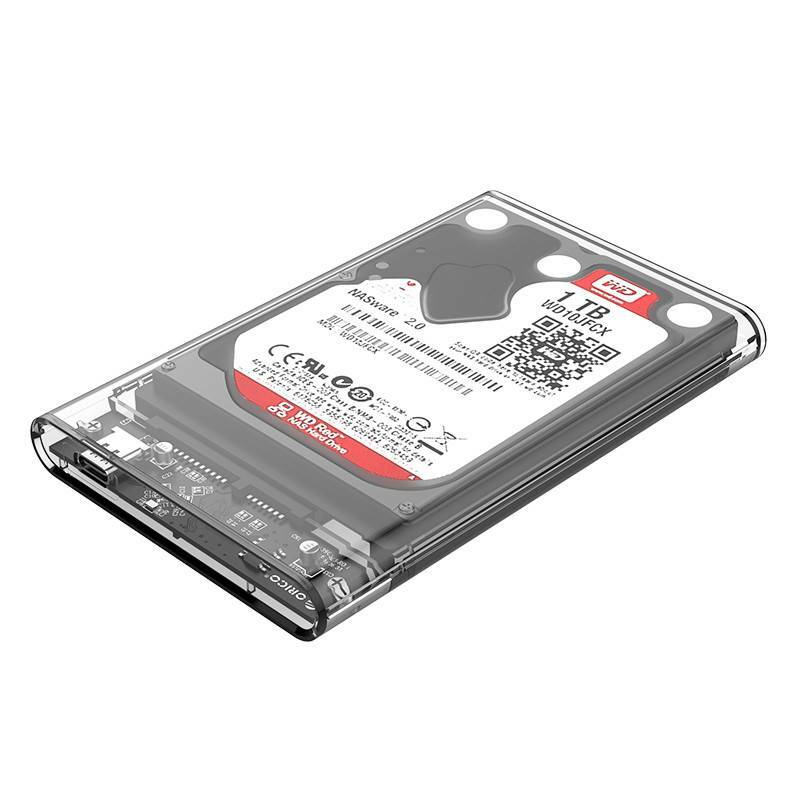 The housing is suitable for both HDD and 2.5 inch SSD drives. With a USB 3.0 interface, this housing supports a data transfer rate of 5Gbps, which is no less than ten times faster than USB 2.0. 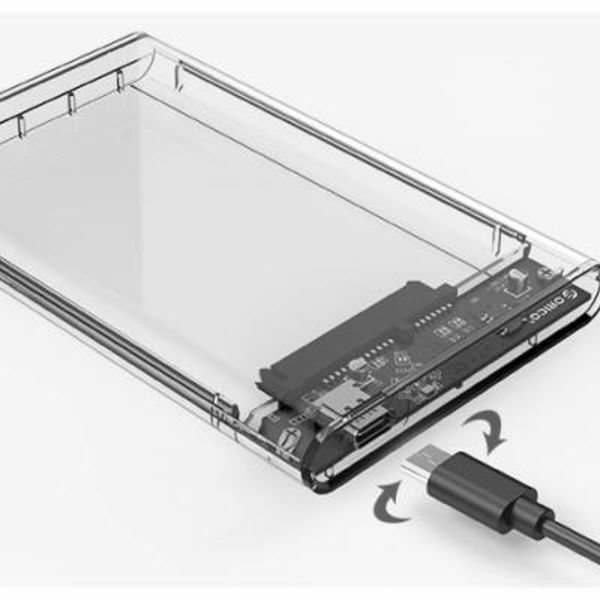 Installing the 2.5 inch USB3.0 type-C transparent hard drive enclosure is not complicated. It can even be made ready for use within ten seconds. All you have to do is open the lid, insert the hard disk correctly, close the housing and then connect it to the computer using the cable. The LED indicator gets a blue color, which means that it starts to work. 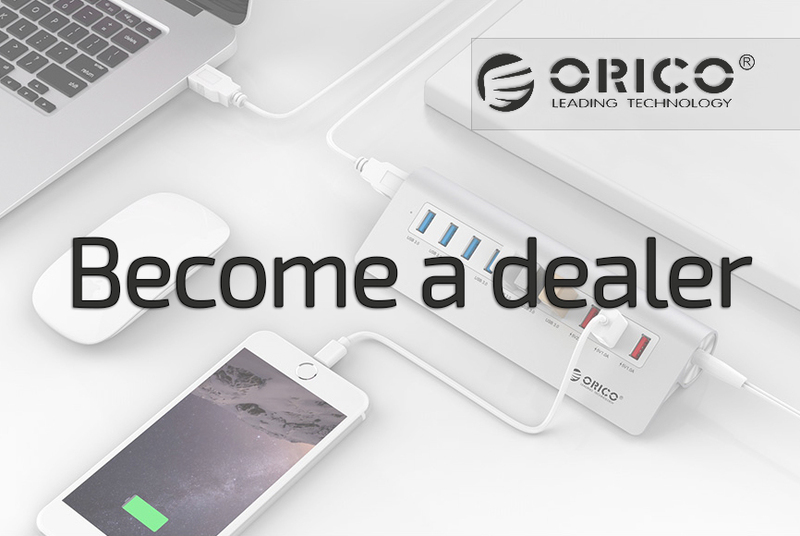 The Orico housing is compatible with HDD SATA I, II and III and with SSD which stands for Solid State Drives. The UASP protocol is also supported by the modern, transparent housing. A driver is not necessary. Works with Windows XP, Vista, 7/8 / 8.1 / 10, Mac OS 9.1 or higher, Linux and Unix. 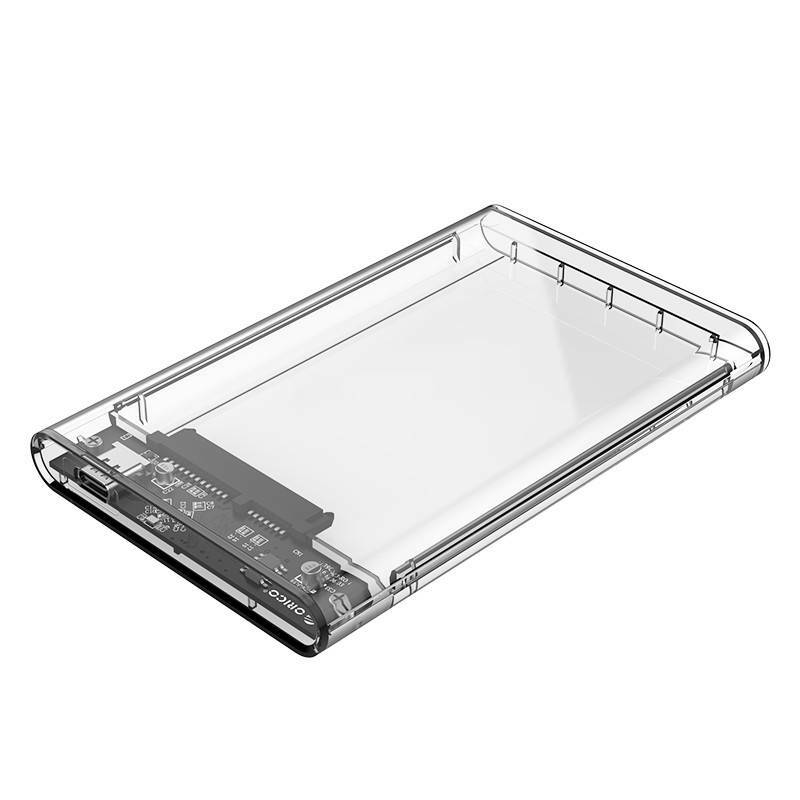 The transparent Orico housing supports 2.5 inch hard drives with a maximum capacity of 2 TB. 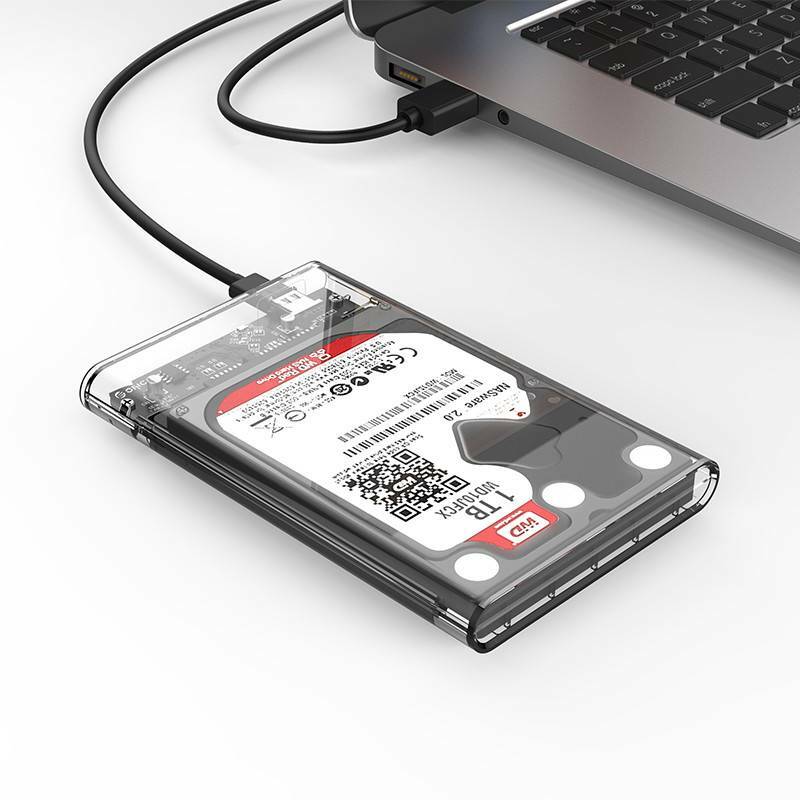 The Orico 2.5 inch hard disk enclosure with USB3.0 type-C connection has a multi-security system. As a result, over-voltage, short-circuit, leakage current and overheating are excluded. The product is also highly resistant to heat by the heat-resistant ABS material. 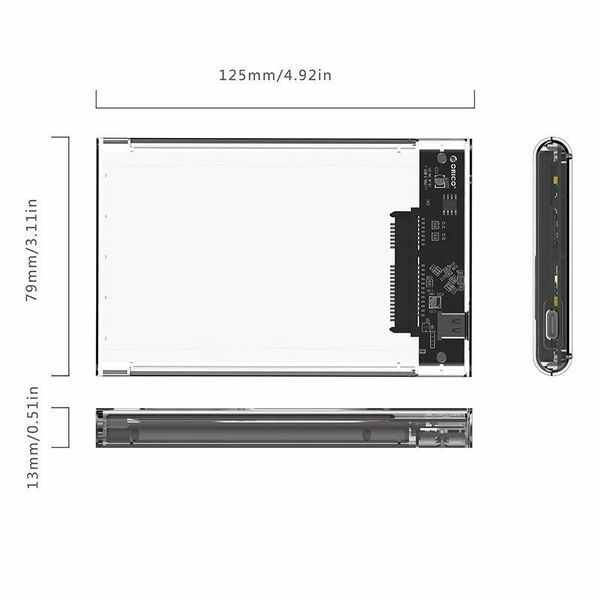 ✔ Output: SuperSpeed ​​USB3.0 type-C.
✔ Supports: Windows XP / 7/8/10, Windows Vista, Mac OS 9.1 and higher. ✔ Product dimensions: 79mm x 125mm x 13mm.